Once you hear the higher pitched croon of Castles' Cody Myers, a nostalgic comfort for the early 2000's will rush over you. A reminiscent mixture of Mae with a bit of older school Dr. Dog and Tame Impala, Castles understand the ins and outs of alternative rock and have shown their capacity to make it easy to love and enjoy, without sounding passé. 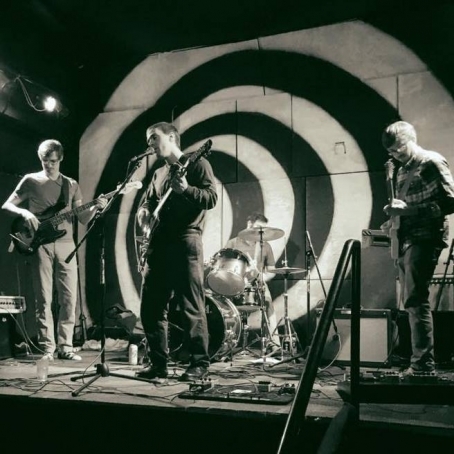 Starting in 2014, the Portland 4-piece have released a self titled EP in May comprised of tracks that transport you to a whole other realm sonically. The combination of Myers' colorful vocals with impeccable playing from Eric Wenzel on lead guitar, Adrian Swindells on bass and Tom Wortman on drums make for an overall chill yet stimulating listening experience. Castles is working on some new tracks and have got a few shows coming up, including one on the July 29 at the Waypost. Congrats on being the new Deli Portland winners, boys!